In January 1942, overwhelming Japanese forces captured Rabaul at the northeastern tip of New Britain Island. Although frequently bombed by the Allies, Rabaul went on to become a mighty stronghold of Japanese forces in the area. Rather than attack, the Allies subsequently isolated and contained Japanese forces around Rabaul for the remainder of the war. Upon surrender in August 1945, Japan still had ~69,000 Japanese troops in Rabaul. 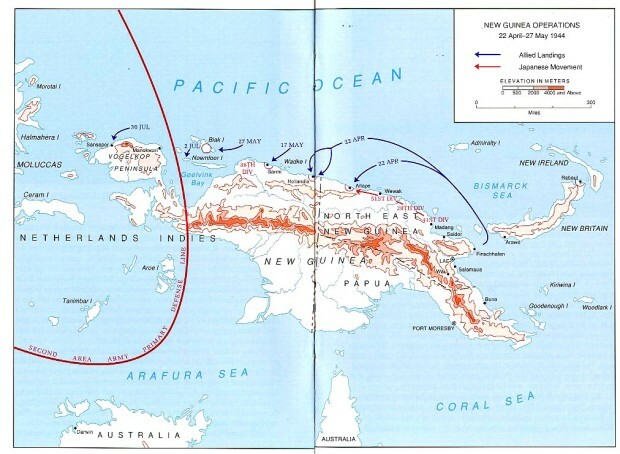 In preparation for an invasion of Australia, Japanese forces then concentrated on taking Port Moresby on southern Papua. The battle of the Kokoda Track exemplified heroic Allied efforts to halt this part of the New Guinea Campaign. 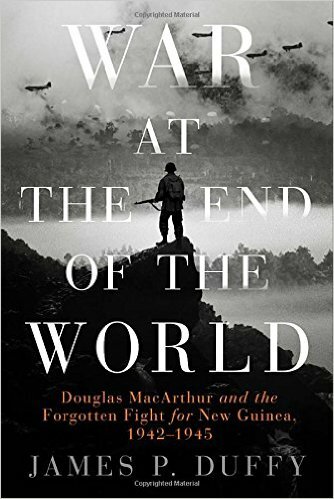 In January 1943 the Allied and the Japanese forces facing each other on New Guinea were like two battered heavyweights. Round one had gone to the Americans and Australians who had ejected the Japanese from Papua, New Guinea. Over three grueling months of frontal attacks against well-entrenched Japanese forces, General Douglas MacArthur was able to establish a military staging area and airstrip at Buna on the north coast. The cost of this bloody operation: Deaths of ~13,000 Japanese and 8,500 Allies (5,698 Australians). 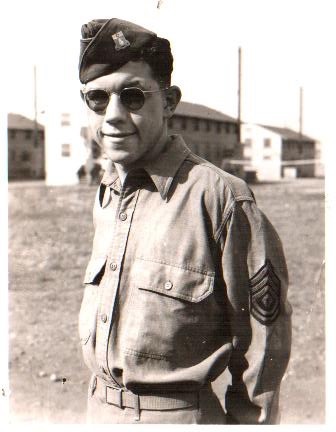 My late father-in-law Jim Evans, who slogged through that terrible campaign, has been an inspiration for my writing about World War II as a war baby born in 1942.